It's that time of year again! Time to mark your calendars for the 29th Annual North Carolina Holiday Flotilla at Wrightsville Beach! For almost 30 years, Wrightsville Beach has been hosting the much loved boat parade and bringing holiday joy to locals and visitors alike. In addition to the parade, the NC Holiday Flotilla offers two whole days of family-friendly events. From the Anchor's Away Launch Party on Friday evening to the Festival in the Park Saturday afternoon, this combination of events makes for a truly amazing holiday experience. 7:30: Fireworks will immediately follow parade. If this is your first time attending the NC Holiday Flotilla, you are in for a treat! As a new feature this year, guests can cast their vote easily by texting their favorite boat's number to "24587." For example, if boat number 3 was your favorite, you would send a text message of "boat3" to the number listed above. Are you a business owner looking for more exposure? Each year, the NC Holiday Flotilla attracts an estimated 50,000 visitors to our beautiful town. Why not get your company's name out there for them to see by becoming a valued sponsor? Sponsorship levels begin at just $250. If you'd like to read more about this cherished North Carolina holiday tradition, visit NCHolidayFlotilla.org or call (910) 256-2120. Voted one of the Southeast Tourism Society's Top 20 Events, Enchanted Airlie is a much-loved holiday tradition for Wilmington residents and visitors alike. This year, Enchanted Airlie returns for the seventh year, transforming the beautiful gardens into a winter wonderland of lights, music and more. The magic begins on November 23, 2012 and continues through December 22. Visitors can stroll through the gardens at their own pace while enjoying the beautiful winter flowers and colorful lights. In addition to the stunning beauty of Enchanted Airlie, guests can enjoy live musical entertainment, a model train display and, returning this year, "LEGOS," an exhibit that is sure to bring back fond memories from your childhood. Admission is $5 per adult and $4 per child 4-12, plus a $5 parking fee. For $22, you can opt for the economical "Carload" admission (admits as many people as you can safely fit in your vehicle) and not have to pay extra for the parking pass. 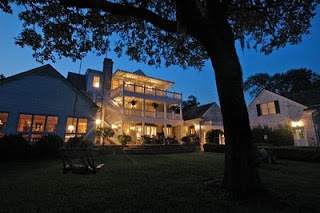 To get your tickets to this year's Enchanted Airlie, simply visit AirlieGardens.org and click on the "event" page. Please note, all tickets must be purchased in advance; no tickets will be sold at the gate. For more information, call Airlie Gardens directly at 910-798-7700. The summer may have come and gone, but for residents of Wrightsville Beach and the surrounding area, fall is no less exciting! Even if you're not a resident, visitors and potential relocators will love spending time in Wrightsville Beach during the autumn months. With so much going on, from oyster roasts to holiday parades and much, much more, Wrightsville Beach is anything but boring in the off-season! If you're looking for a fun, outdoor activity, Wrightsville Beach offers plenty of opportunities to enjoy the cooler weather in a scenic atmosphere. In mid-November, the annual Surf to Sound Challenge offers stand-up paddleboarders from around the globe the chance to test their skills and raise money for a local nonprofit organization. If you're new to water sports, why not visit some of the local surfing schools and sign up for some lessons? Fall is a great time of year to get a feel for the waves, since the beaches will be less crowded. More experienced surfers will enjoy the fall months, as our hurricane season usually offers more favorable wave activity. Looking for a way to get into the holiday spirit? Wrightsville Beach and the surrounding area hosts a variety of events that are sure to spread holiday cheer! Check out the 29th Annual North Carolina Holiday Flotilla on November 24, where local boaters decorate their vessels with holiday themes and parade them through Motts and Banks Channel. Or come sign up for the 8th annual Turkey Trot on the morning of November 22 (Thanksgiving Day) and help raise money for the Cape Fear Habitat for Humanity. Fall fishing via charter boat, fly fishing or on Johnnie Mercer's Pier. Kick off the holiday season with the 8th Annual Turkey Trot in Wrightsville Beach, NC - a fun, family-friendly event benefiting Cape Fear Habitat for Humanity. This 5k run/1 mile walk will take place on Thanksgiving morning, November 22, 2012, at the Wrightsville Beach Loop. Registration begins at 7:30 a.m. with the race to follow one hour later. Be sure to stick around for the prize ceremony at 9:15 and enjoy more food and fun! The cost to participate is $25 for the 5k runner advance registration ($30 the day of) and $15 for the 1 mile walker advance registration (same price the day of). Children under 10 are admitted free to this event, but if they want to be timed, they will have to register as an adult and pay the regular fee. Over the years, the Turkey Trot has become an eagerly anticipated way to celebrate the holidays and give thanks to the local community. If you've never participated in a Turkey Trot event before, why not check it out this year? You may just find your next holiday family tradition! If you're interested in preregistering, please visit: Wrightsville Beach Turkey Trot 2012. 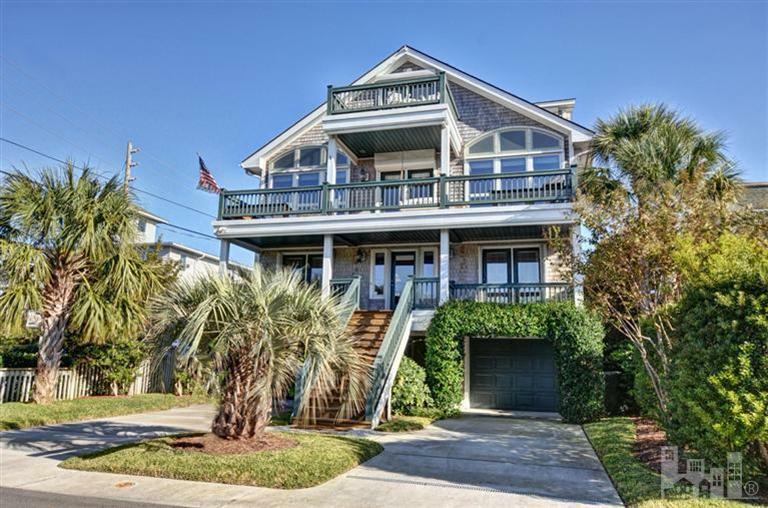 A gorgeous single family home on the quiet south end of Wrightsville Beach, North Carolina is for sale by Hardee Hunt and Williams real estate company. 901 Schloss Street is a three thousand square foot, six bedroom home with ample outdoor living areas just steps from the sound and ocean beach access. 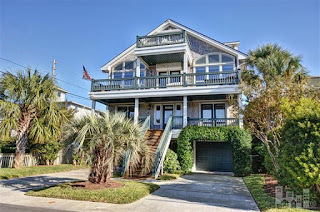 Wrightsville Beach, N.C., November 2012 -- Hardee Hunt and Williams real estate company is pleased to announce a new listing in Wrightsville Beach, North Carolina at 901 Schloss Street. This exceptional six bedroom single family home is situated on the quiet south end of this quaint, upscale beach town and is just steps from the sound and ocean beach access. The coastal architecture of this home includes long lasting cedar shake siding and a well established landscaping package. Multiple exterior decks adorn both the front and back of the home. A circular driveway with dual garages offers ample off street parking and storage for all season beach needs. The interior of the home has a reverse floorplan (with elevator) where the lower level houses a superior master suite with an oversized luxury master bath. The master bedroom and guest rooms open to a covered exterior deck. The living level features an open, spacious design with hard wood flooring and vaulted ceilings, all opening to another large exterior deck. There are an abundance of well placed windows to allow natural light to flow through the entire home. The top level includes additional bedroom space along with two decks providing long range exposure of banks Channel, Masonboro Inlet, and the Intracoastal Waterway. 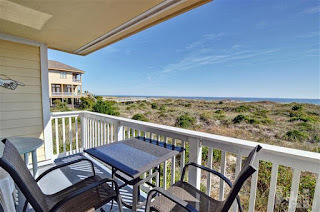 The Captain's Quarters are ideal for enjoying sunrise or sunsets over the water from the comforts of a rocking chair. This elegant home at 901 Schloss Street provides easy and convenient access to the sound and ocean beaches. To learn more about the property at 901 Schloss Street, please visit http://tours.uniquemediadesign.com/public/vtour/display/84509?idx=1 and contact Hardee Hunt and Williams to schedule a guided tour: http://www.hardeehuntandwilliams.com or call 910-256-6998. On November 17, 2012, the 2nd annual North Carolina Surf to Sound Challenge organized by the Blockade Runner Resort will take place in Wrightsville Beach. If you're a stand-up paddleboard enthusiast, you'll definitely want to mark your calendar for this popular fall event! Two races compose the annual NC Surf to Sound Challenge: the 6.5 mile Surf to Sound Challenge and the 4 mile Harbor Island Outer Loop. 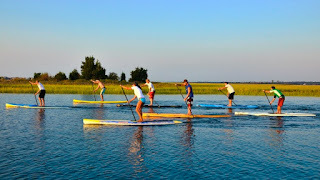 In the 6.5 mile challenge, extreme paddlers will perform a surf start, paddle through the open Atlantic Ocean, navigate through Masonboro Inlet straits, continue behind Masonboro Island and finish the race soundside on Wrightsville Beach. The 4 mile loop will allow paddlers to circumnavigate Harbor Island, taking in Mott's Channel, the Intracoastal Waterway, Lee's Cut and finally, Banks Channel to the finish line. This race is designed for less experienced paddlers. Both events allows paddlers to compete for prizes while helping support Masonboro Island - one of our area's most beloved treasures. Interested in signing up? Registration is open now until November 16, 2012. The cost to register is $60 for either race and proceeds will benefit FOR Masonboro (Friends of the Reserve). Register online by following this link: http://2012ncsurftosoundchallenge.eventbrite.com/.